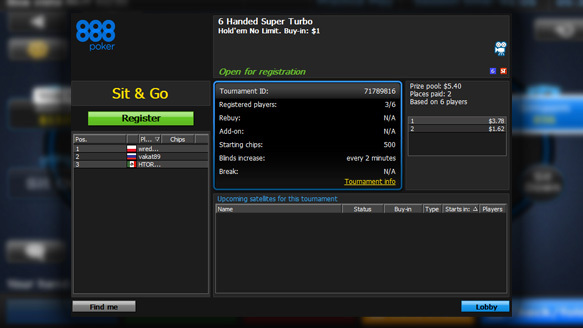 Got an 888poker Tournament Ticket? 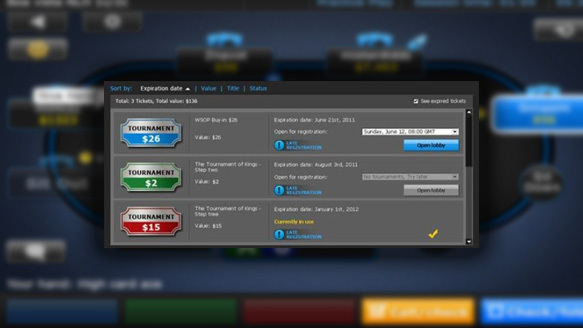 Tournament Tickets are virtual vouchers that players may use in order to join selected tournaments. Each Ticket has a fixed value that can be used for selected tournaments with the exact same buy-in amount. How can I get Tournament Tickets? You can win Tournament Tickets in prize pools or via 888poker promotions. Players can receive Tournament Tickets to use in scheduled tournaments, exclusive Free tournaments, Sit & Go’s and much more. How can I use Tournament Tickets? 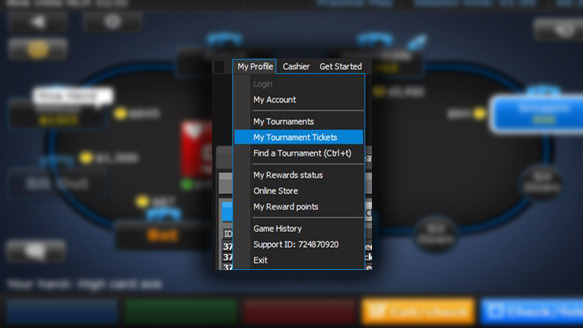 Login to the 888poker software and click ‘My Tournament Tickets’. and choose an upcoming tournament from the drop-down menu that matches the ticket that you wish to use. (You can sort your Tournament Tickets by date, value, title and status). and then register for the selected tournament. If you have registered to a tournament that has not yet started using a Tournament Ticket, you will see the ‘Currently in use’ label. You can unregister from the tournament before start time, in the tournament lobby, and use your Tournament Ticket for another valid tournament. Please note: The Tournament Ticket has a fixed value and only applies for specific types of tournaments. The Tournament Ticket does not necessarily grant you free entry to every tournament with the same buy-in amount.